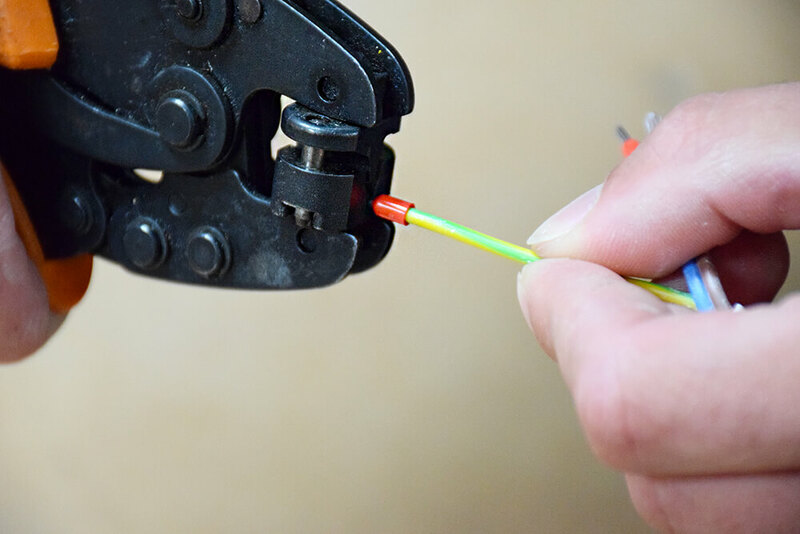 Quick and precise crimping with adjustable rotating head. 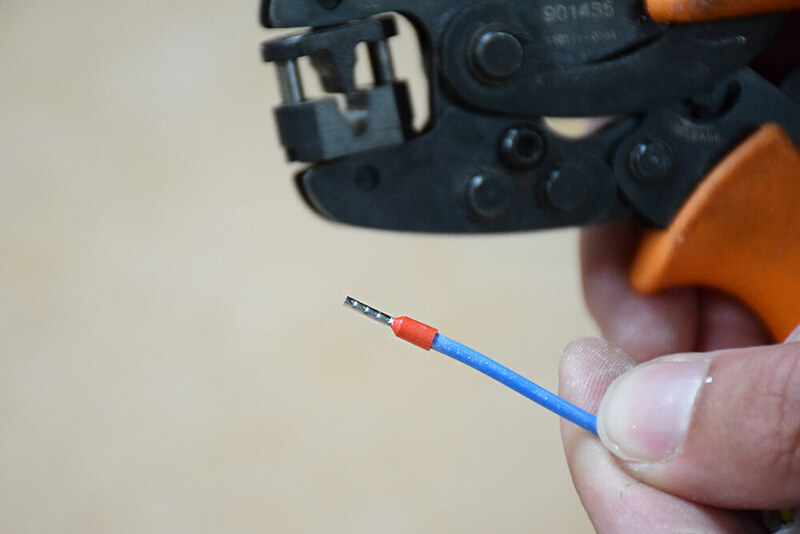 Will crimp from 0.14mm² to 6mm² cable. Rotating die head allows for versatile ferrule insertion, from either front on or from the side. 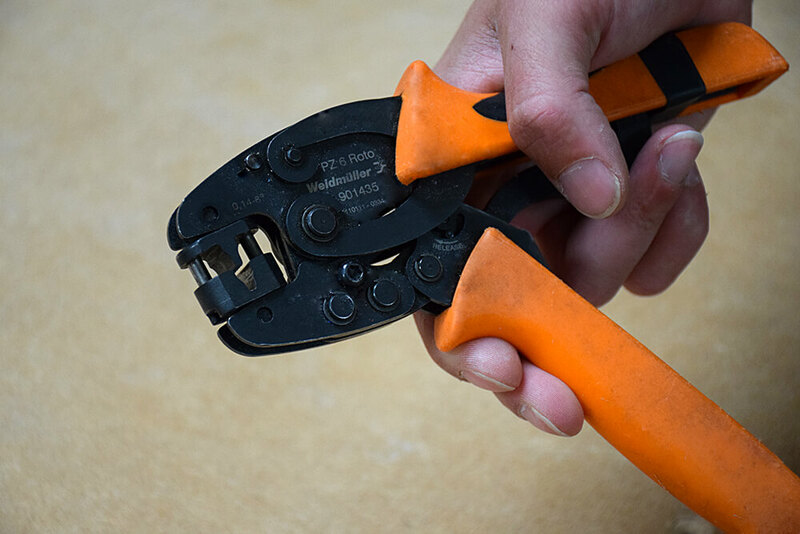 If you are crimping regularly on site, either insulated or un-insulated, you need a reliable tool that ensures quick and precise crimping. 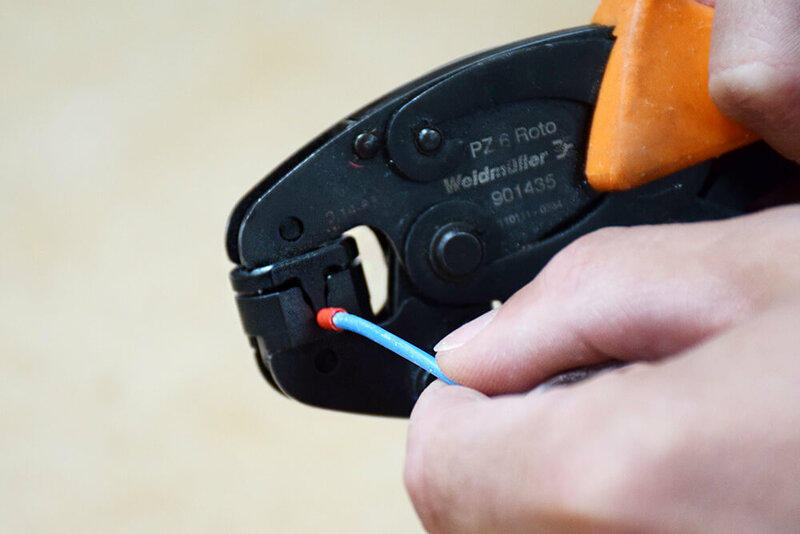 Weidmuller’s Ratchet Crimping Tool is especially ideal for multi strand cable, where you need to use bootlace ferrules. 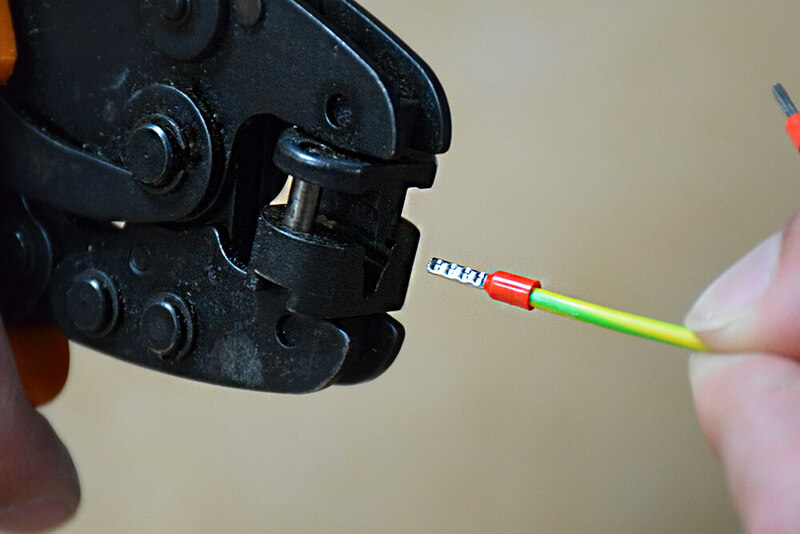 Weidmuller are a leading German manufacturer of electrical termination solutions, producing reliable and innovative tools. 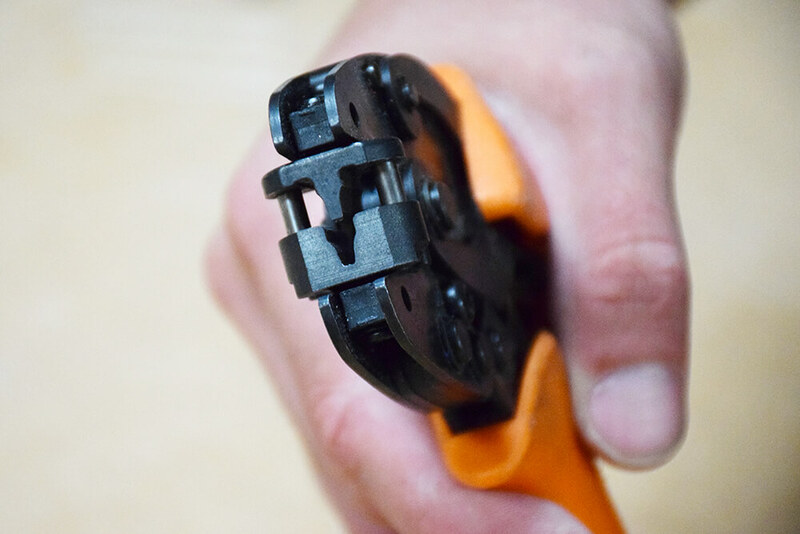 There is virtually no effort needed to operate this crimping tool, “the action is ridiculously light and easy, whereas with other brands, you really need to press down” our trainer explains. They are expensive, but strong and robust and an invaluable tool if you are doing it every day. This pair has lasted 7 years with one of our electrical trainers and is still going strong. Light and easy action, no effort at all needed to operate. Rotating head is beneficial for tight spaces, as you can go nose on. Strong and robust, with continuous quality performance. It is expensive but if you’re doing it every day, it is an invaluable tool. 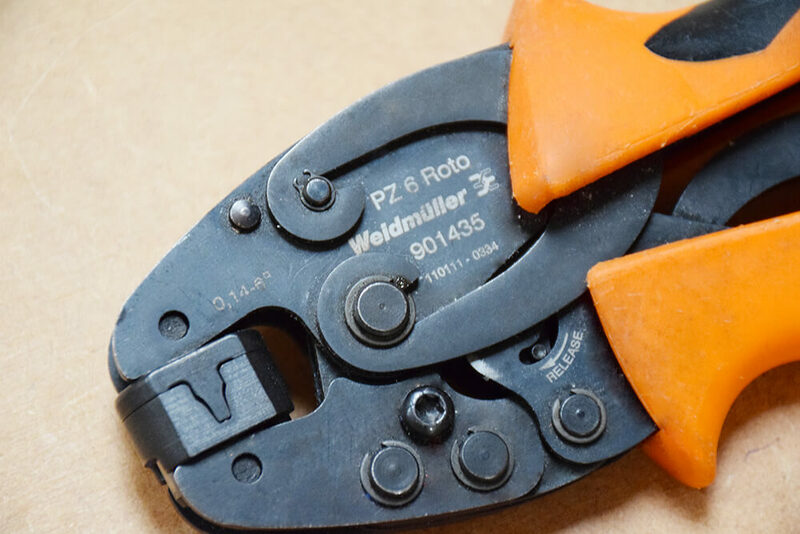 You can buy the Weidmuller Ferrules PZ6 Roto (901435) from various online retailers, including RS Components. 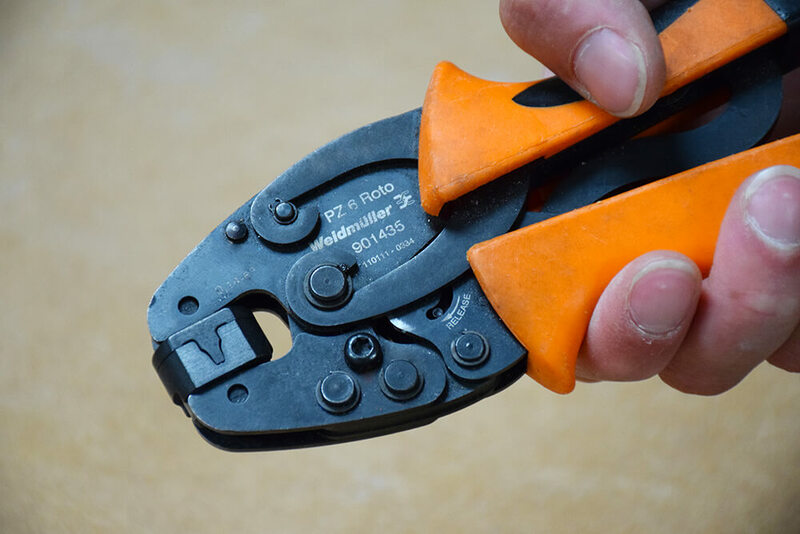 If you’re looking for a smaller crimping tool, then take a look at Knipex’s Crimping Tool!